Many tribal language programs, employing just one or a few people, often need to have knowledge of multiple disciplines in support of their language documentation and revitalization goals. How do linguistics, library and information sciences, archival science, computer science, and Native American studies support and challenge language revitalization? This keynote will address connections and disjunctures exist between those disciplines, but will mainly include examples from those disciplines of how they contribute to Karuk language documentation and revitalization work. 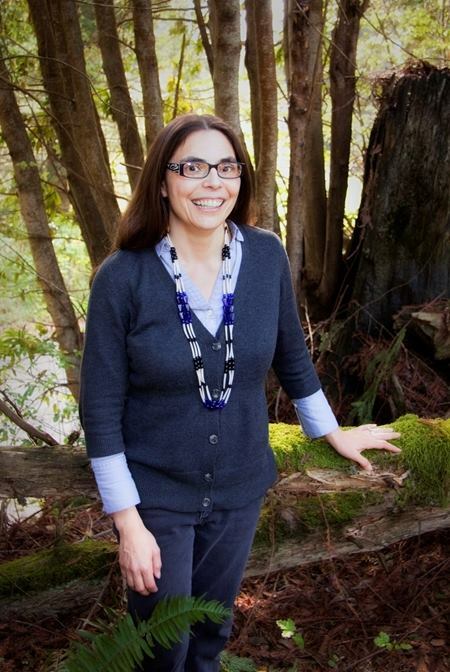 Susan Gehr is a reference librarian at College of the Redwoods, a Co-Convener of the Institute for Collaborative Language Research (CoLang) and the PI for the Karuk Tribe’s Documenting Endangered Languages grant Karuk Archives and Accessibility Project. Several years into learning to speak Karuk through community classes, and the Advocates for Indigenous California Language Survival’s Master-Apprentice Language Learning Program, Susan finished an MA in linguistics, going on to work on Karuk language documentation and co-publishing the Karuk Dictionary with linguist William Bright. In the course of her work creating and collecting Karuk language materials for the tribe’s Karuk language program, Susan wrote a thesis, an oral history of AICLS’ Breath of Life Archival Institute for Indigenous California Languages, for her MLIS through San José State University. She is interested in seeing language community activists take care of their personal language collections with preservation and appropriate access in mind. For more information, please visit the MIRS website.